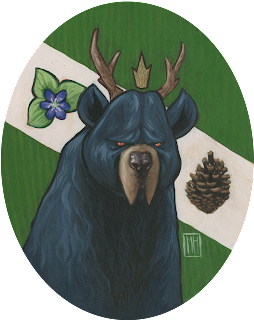 Here is the first of a trio of paintings for the upcoming Legends of the Midwest show as a part of Art Downtown. It finally broke me as far as acrylics are concerned. I am a convert now. I also made frames for them. Stay tuned for the rest.